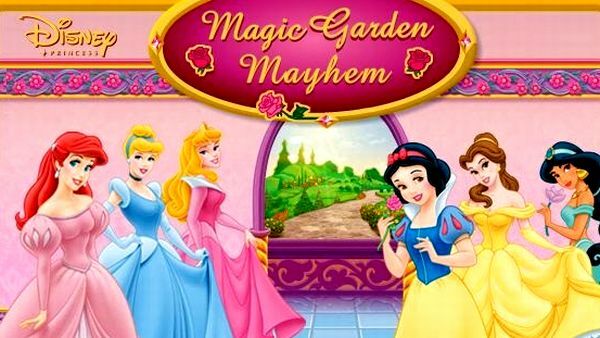 The Princesses Magic Garden us under an evil spell! Too many flowers are growing all over the place. Match the flowers horizontally or vertically by color to make them disappear. To move to the next level, you must pick up the per-determined number of flowers. To move a flower, click on it and them drag it to an empty tile. The shooting star clears all flowers and bushes adjacent tiles. 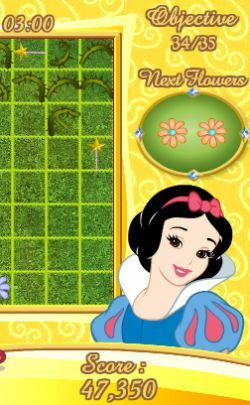 The magic wand clears all flowers in front of it. But take note of the direction it's facing before you click on it! Watch out for the prickly bushes! They can't be moved and they sprout here and there. You can only destroy them by using magic wand or shooting star.